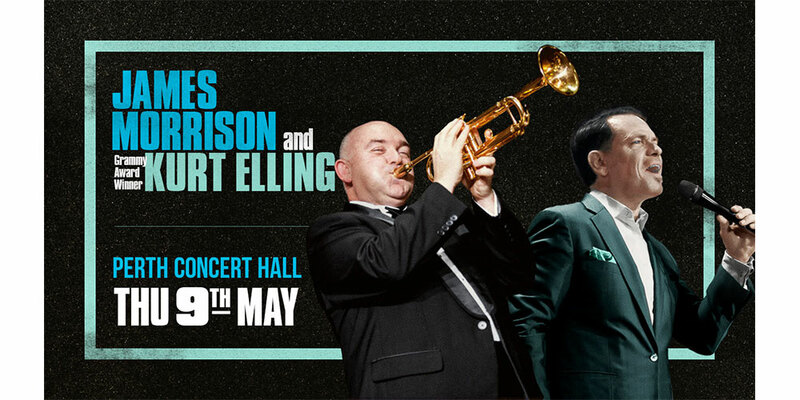 Acclaimed jazz musicians Australian James Morrison and Grammy Award-winning vocalist Kurt Elling will join forces for the first time this May to showcase their exceptional talents, in one special show at Perth Concert Hall on Thursday, 9 May. The collaboration comes on the back of a recording a very special live album at the iconic Birdland Jazz Club in New York. Get ready to be mesmerized by renditions of your favourite jazz numbers and be entertained and enchanted by the brilliant showmanship and infectious energy of these gifted performers, with some of the best jazz musicians in the country, including the amazing New York based saxophonist, who hails from Perth, Troy Roberts. Renowned globally as one of the finest jazz players of his generation, James Morrison has performed alongside the best jazz musicians of our generation. Wynton Marsalis once said ”man, James Morrison can play”. And Kurt Elling is among the world’s foremost jazz vocalists referred to by The New York Times as “the standout male vocalist of our time”. We are giving you the chance to WIN one of 5 double passes to the show on Thursday 9 May! Prize 1 of 5 double passes [valid for 2 people] to see James Morrison & Kurt Elling on Thursday 9 May, 2019 at Perth Concert Hall. Each double pass is valued at $218.